The annual Geneva Motor Show (Genève Auto Salon) is one of the major events in the Lac Léman region. It is held next to Geneva Airport in the Palexpo exhibition grounds. The Geneva Motor Show is one of the most important automotive events in the world. It is held annually in the Palexpo show grounds right next to Geneva Airport (GVA) on the Swiss-French border. Opening hours are long and transportation to the Auto Salon is very easy. The car show is also popular with families with small children. 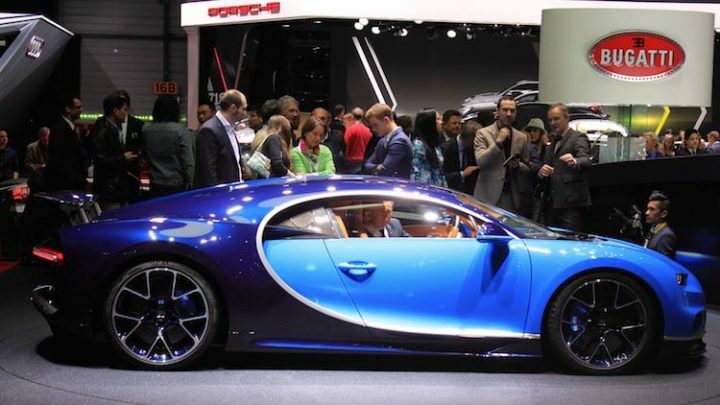 Annually, the Geneva Auto Show attracts around 700,000 visitors. In 2020, the Geneva Motor Show is open to the public from 5 to 15 March 2020, on weekdays from 10 am to 8 pm and on weekends from 9 am to 7 pm. The Geneva Motor Show is usually held during the first half of March. 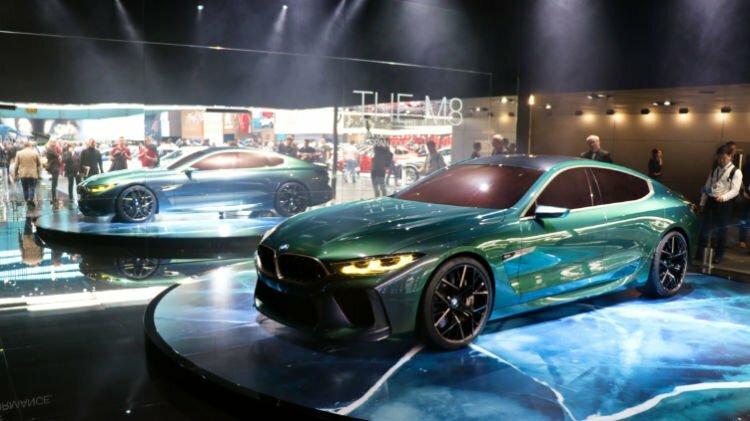 As the first major international automobile exhibition of the year, many motorcar manufacturers select the Geneva Motor Show as the venue for international premieres of new models and design studies. 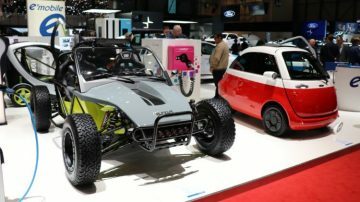 All car manufacturers exhibit at the Geneva Motor Show and many specialists and accessory manufacturers also have a presence at the show. 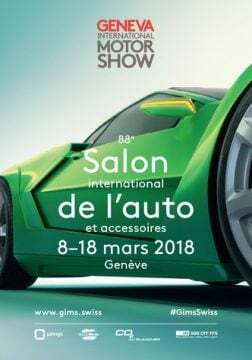 This is reflected in the full names of the show: International Motor Show and Accessories Geneva (Salon international de l’auto et accessoires Genève-Palexpo / Internationaler Auto-Salon und Zubehör Genf). Admission to the Geneva Motor Show is CHF16 for adults and CHF9 for children aged 6 to 16 years old. Visitors entering the Geneva Motor Show after 4 pm pay only half the regular admission fee. These tickets are only on sale at the show grounds. An added advantage of visiting late is that the show will progressively get quieter rather than busier. The Geneva Motor Show is hugely popular with the Swiss and international public. The show can get very full especially over weekends making it sensible to arrive early in the morning or late afternoon. The new half-price ticket for entry after 4 pm may help to reduce crowds earlier in the day. Wednesdays, when most Geneva schools are out and many others are free in the afternoon, can also get very busy. It is possible – and sensible – to buy tickets to the Geneva Motor Show in advance. Several online and other agencies sell the tickets while combination rail and admission tickets are available from any Swiss railway station (or online from Swiss Railways – look for RailAway offers a few days before the show). Although the Geneva Motor Show is a very important industry event, it is also very popular with families. 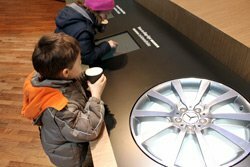 Small children enjoy being able to climb in the cars and touch all buttons. Many interactive exhibits and interactive models are also fun to muck around with. Child care facilities are available at Room L in the conference center – free first hour, then CHF6 per hour for children aged 3 months to 6 years. If visiting the Genève Auto Salon with small children, arrive early in the day and try to avoid the very busy weekends. At busy times strollers and buggies will be a pain but a great idea when the show is quieter. The Geneva Auto Show is held in the Palexpo Exhibition Grounds right next to Geneva Airport (GVA). It is a few minutes’ walk from the airport to the Auto Salon via the train station shopping mall. Transportation options to the Geneva Motor Show are plentiful but the Swiss Railways are usually the best choice. Public buses (line 5, 28 and Y) stop directly at the Palexpo center while others stop at Geneva Airport within walking distance of the Auto Salon. These buses are useful for Geneva residents but most travelers from outside the city will find the train much faster. Special parking facilities are available during the Auto Salon – follow the signboards from Autoroute A1. Traffic, especially over weekends, can become a nightmare – few drivers would regret parking elsewhere and arriving by train. See Transportation to the Geneva Auto Salon for more details.